Water retention refers to the abnormal accumulation of fluid in the circulatory system or with the tissues of the body. Also known as edema, it is characterized by the swelling or puffiness of the affected tissue, stretched or shiny skin, increase in abdominal size, or the appearance of a dimple on the skin if it is pressed for several seconds. There are lots of ways to treat edema. One of these is the use of herbal products that stimulate urination to prevent the fluids from accumulating in the tissues. 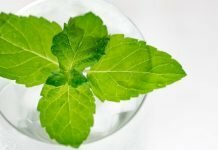 Here are three of the most popular herbs that people use to treat edema. According to the National Center for Complementary and Alternative Medicine, dandelion is a wonder herb that Native Americans use to treat a lot of ailments including edema. It is high in potassium and it contains properties that inhibit the re-absorption of sodium which is one of the primary causes of water retention in the body. As a word of caution, dandelion may cause certain side effects. You need to talk to your doctor before you decide to take dandelion to treat your edema. Parsley is an aromatic herb that is native to the Mediterranean region. 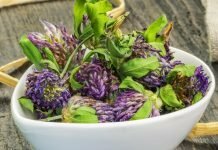 The roots and seeds of this herb are known to contain strong diuretic properties. 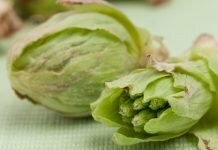 Many people use this sweet and spicy herb to treat edema. 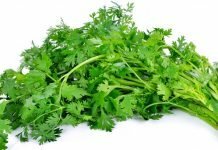 Practitioners of herbal medicine caution that parsley has a tendency to stimulate the uterus and might not be safe for pregnant women and edema sufferers who are taking medication. Chickweed is a European herb that is naturalized worldwide. It has small leaves and little white flowers that are usually eaten by poultry. But people use it for its cooling, drying, and diuretic properties. Chickweed has a fresh, pleasant taste and it can be taken internally to induce urination. 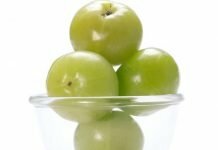 One of its principal components is called rutin, a flavonoid that helps to alleviate medical conditions including edema. You also need to seek the advice of a medical professional before using chickweed to treat edema. This is to ensure that interactions with other drugs and potential side effects are avoided. 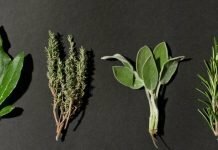 These are the most popular herbs that herbalists recommend to treat edema. They are not intended to take the place of the medicine that your doctor prescribes. You need to talk to your doctor before deciding to use them to ensure that side effect and possible interactions with drugs are avoided.